The St. Louis Cardinals’ playoff hopes took a nosedive over the weekend in Chicago. Starter Luke Weaver continues to pitch well every fifth day. In our history feature, long winning streaks are remembered. In the first of a three game series, the Cardinals defeated the Reds in a blowout. 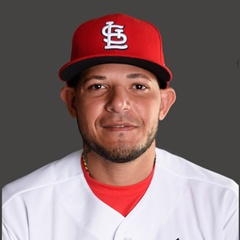 St. Louis got on the board in the first on a two run RBI double by Yadier Molina. Molina drove in a third run in the sixth on a single, and was 2-for-3 in the game. In the second inning, Tommy Pham’s triple plated two more runs, and double by Paul DeJong brought Pham home for the third run of the inning. The Cardinals added a run in the third on a sac fly by Randal Grichuk, and again in the fourth on Jose Martinez’ double. DeJong hit a solo home run in the sixth. In the seventh, Matt Carpenter plated a run on a double, Carson Kelly drew a bases loaded walk, and Kolten Wong singled in a run. DeJong was 3-for-4 with two runs scored, Martinez was 2-for-4, and Wong was 2-for-5. Starter Lance Lynn pitched five innings, giving up four runs, three earned, on six hits. The right hander struck out three, walked none, and earned his 11th win of the season. Brett Cecil followed with two scoreless innings of relief. Zach Duke and Sandy Alcantara each pitched a run-free inning. Martinez stole his third base of the season. Lynn made a throwing error. In the second game of the series, the Cardinals were shut out by the Reds. The offense managed only five hits, all singles. Jose Martinez was 2-for-4. Yadier Molina, Matt Carpenter, and Stephen Piscotty had the other singles. Jack Flaherty started and pitched 4 1/3 innings, giving up three runs on four hits. The rookie right hander fanned three and walked two. Ryan Sheriff relieved in the fifth and surrendered three runs. John Gant followed with two scoreless innings, while Sam Tuivailala and Matt Bowman each pitched a scoreless inning. In the field, Martinez committed a missed catch error. In the rubber game, the Cardinals blanked the Reds to take the series in Cincinnati. 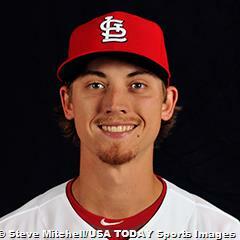 Starter Luke Weaver pitched six innings, giving up one unearned run on two hits. The righty struck out six and walked none and earned his sixth win. Tyler Lyons and John Brebbia each tossed a scoreless inning of relief. Juan Nicasio allowed one run in the ninth. Jose Martinez drove in two on a single in the third inning. In the fifth, Tommy Pham hit a two run home run. Greg Garcia plated the final run on a sac fly in the eighth. Pham and Martinez were each 2-for-4. On the base paths, Pham stole his 20th and 21st bases of the season. Paul DeJong stole his first base, and Harrison Bader swiped his second bag with St. Louis. DeJong made a fielding error. In the opener of a crucial weekend series in Chicago, the Cardinals let the game get away with the big inning. Starter Carlos Martinez began well, but the wheels came off the bus in the sixth inning. In 5 1/3 innings pitched, Martinez gave up seven runs on six hits, with six scoring in the sixth. Martinez was replaced with one out, having given up three runs and with the bases loaded. Reliever Matt Bowman allowed the three inherited runners to score, and allowed an additional run of his own. Bowman left with two outs and a runner on before Zach Duke got the final out of the sixth. Brett Cecil and Sandy Alcantara each pitched a scoreless frame. Tommy Pham got the Redbirds on the board in the first inning with a solo home run. Carlos Martinez singled in a run in the fifth for the other Cardinals run. Only Stephen Piscotty had multiple hits, going 2-for-4. On the base paths, Pham was caught stealing for the seventh time in the season. In the field, Greg Garcia made a throwing error, and Pham had an outfield assist. St. Louis dropped the second game of the Wrigley Field series, scoring only one run late, on Matt Carpenter’s solo home run in the eighth. It was Carpenter’s only hit. Dexter Fowler was 2-for-3. Starter Michael Wacha pitched 5 2/3 innings, giving up three runs on six hits. The righty fanned seven and walked five. Wacha took the loss, his eighth. John Brebbia secured the last out of the sixth and the first two outs of the seventh. Ryan Sherriff got the final out of the seventh before Tyler Lyons pitched the eighth and surrendered one run. On the base paths, Jose Martinez was picked off first base. The Cardinals suffered the sweep of the series on Sunday, with a one run loss to the Cubs. The Redbirds fell behind by three runs but tied the score in the sixth inning when Dexter Fowler hit a three run home run. The Cardinals could not add on, and the Cubs responded with one run in the seventh to take a lead they would not relinquish. Fowler was 2-for-5. Tommy Pham was 3-for-5. Starter Lance Lynn pitched only four innings, giving up three runs on five hits. The right hander struck out five and walked four. Zach Duke and John Brebbia followed with a scoreless inning each. Tyler Lyons started the seventh and gave up the winning run before Matt Bowman got the final two outs. Juan Nicasio pitched a scoreless eighth. Lyons took the loss. Yadier Molina stole his ninth base of the season, and Kolten Wong stole his seventh bag. After being swept by the first place Cubs over the weekend, the Cardinals are now six games back of the Cubs, and two games back of the second place Brewers in the NL Central. The sweep virtually eliminated the Cardinals for contention for the Division. Their elimination number now stands at eight with the Cubs’ magic number 10. The offense essentially took a vacation in the Cubs series, and the pitching wasn’t much better. Defensive errors and poor baserunning came back to haunt the team as well. It was a complete defeat to say the least. The Cardinals’ slightly better chance is with the Wild Card. The team is 4.5 games back of the second WC spot, with an elimination number of nine. It is a tough hill to climb, but not impossible. With just 13 games remaining, the Cardinals have to play much better, and the Colorado Rockies and the Brewers, both of whom are ahead of the Cardinals for the second WC spot, have to play worse. The Cardinals ended the week 2-4 and are in third place in the NL Central. Matt Carpenter is batting .250 and has an OPS of 1.020. He has 1 HR, 1 double, and 2 RBI. Tommy Pham is batting .235 and has an OPS of 1.174. He has 2 HRs, 1 triple, 1 double, and 5 RBI. Dexter Fowler is batting .667 and has an OPS of 1.417 in 4 plate appearances. Luke Weaver has an ERA of 0.00 and a WHIP of 0.33. Lance Lynn has an ERA of 1.50 and a WHIP of 1.50. Michael Wacha has an ERA of 1.98 and a WHIP of 1.17. 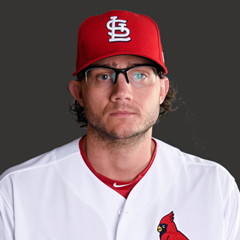 Brett Cecil has an ERA of 0.00 and a WHIP of 0.67. Sandy Alcantara has an ERA of 0.00 and a WHIP of 0.50. John Gant has an ERA of 0.00 and a WHIP of 0.67. Sam Tuivailala has an ERA of 0.00 and a WHIP of 0.00. Zach Duke has an ERA of 0.00 and a WHIP of 0.75. Alex Mejia is batting .000 with an OPS of .000 in 5 plate appearances. Harrison Bader is batting .158 with an OPS of .449. Carson Kelly is batting .000 with an OPS of .250 in 4 plate appearances. Carlos Martinez has an ERA of 11.81 and a WHIP of 1.69. Jack Flaherty has an ERA of 6.23 and a WHIP of 1.38. Matt Bowman has an ERA of 6.75 and a WHIP of 1.50. Juan Nicasio has an ERA of 9.00 and a WHIP of 2.00. Ryan Sherriff has an ERA of 27.00 and a WHIP of 3.00. The number 2 hitter has been Tommy Pham for five games, and Kolten Wong for one game. The number 4 hitter has been Jose Martinez. The number 5 hitter has been Yadier Molina for five games, and Dexter Fowler for one game. The number 6 hitter has been Stephen Piscotty for two games, Wong for two games, Molina for one game, and Harrison Bader for one game. The number 7 hitter has been Bader for two games, Piscotty for two games, Wong for one game, and Randal Grichuk for one game. The number 8 hitter has been Grichuk for two games, Bader for two games, Alex Mejia for one game, and Greg Garcia for one game. 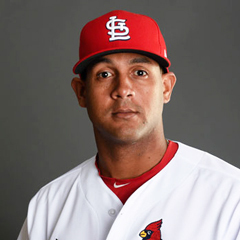 9/11 The Cardinals optioned 2B Breyvic Valera to the Memphis Redbirds. 9/12 The Cardinals recalled OF Magneuris Sierra from the Memphis Redbirds. 9/13 The Cardinals activated 3B Jedd Gyorko from the 10-day disabled list. RHP Seung-Hwan Oh has been unavailable in the bullpen due to hamstring tightness. Oh threw a bullpen session on Thursday, but remains unavailable for an indeterminate time. Juan Nicasio seems to have a temporary hold on the ninth inning. RHP Adam Wainwright (right elbow impingement) remains on the 10 day DL. Wainwright has thrown three bullpen sessions, most recently on Sunday. The pitcher’s return to the active roster as a reliever is expected this coming week. 3B Jedd Gyorko (hamstring) was activated from the disabled list, but is available only to pinch hit for an indeterminate time. 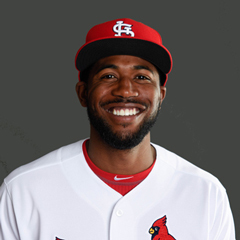 CF Dexter Fowler missed five games after injuring his knee in a collision with the outfield wall at Busch Stadium. Fowler returned to the starting lineup over the weekend. 2B Kolten Wong missed five games due to recurring back issues. 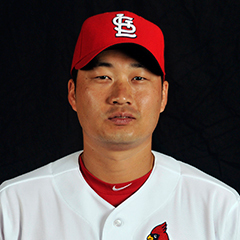 Wong was back in the lineup for Sunday’s game against the Cubs, however. The Cardinals have a travel day on Monday following the weekend series with the Cubs. The team travels to Cincinnati to take on the Reds in a three game series. Jack Flaherty is scheduled to make the Tuesday start, followed by Luke Weaver on Wednesday, and Carlos Martinez on Thursday. The Cardinals continue to road trip in Pittsburgh, playing a weekend series with the Pirates. No starting pitcher have been announced, but will likely be Michael Wacha, Lance Lynn, and Jack Flaherty. The Cardinals return home on Monday following the Pirates series, to take on the Cubs in a four game series. The Cardinals finish their regular season schedule with a weekend home series against the Brewers. The Cards are now 28-35 within the division. All remaining games are against division foes and St. Louis has losing records against three of the four. The Cleveland Indians made the history books this past week, with a 22-game winning streak that was ended over the weekend with a loss to the Kansas City Royals. The streak is the second-longest winning streak in MLB history, with the record held by the 1916 New York Giants, who won 26 games in a row. One might ask what this has to do with the Cardinals. The applicability is only indirect, but interesting nonetheless. Only one St. Louis team has had a winning streak close to the 22-game win streak of the Indians. That team was not the Cardinals, but the St. Louis Maroons, who won 20 consecutive games in 1884. The Maroons were a professional baseball team that existed from 1884-1886, part of the short-lived Union Association, a league that lasted only one season, 1884. The Maroons then moved to the National League, and relocated in 1887 to Indianapolis to become the Indianapolis Hoosiers. The Hoosiers played for three more seasons, then folded. The current Cardinals franchise never had a long winning streak like that of the Maroons – at least not as the Cardinals. The St. Louis Browns of 1885, which eventually became the Cardinals in 1900, had a 14 game winning streak. That streak was ended by a 7-1 loss to the Baltimore Orioles (not the current Baltimore Orioles franchise, which team came into existence when the second incarnation of the St. Louis Browns moved to Baltimore in 1954). The Cardinals did, however, end the long winning streaks of two major league clubs. In 1935, St. Louis defeated the Chicago Cubs on September 28 by a score of 7-5 in 11 innings. That ended a 21-game winning streak by the Cubs that began on September 4. The other time St. Louis ended a streak was 28 years earlier in 1907. That year the Cardinals ended a 14 game winning streak of the New York Giants. The Giants’ streak began on April 25 with a win over the Philadelphia Phillies, and ended on May 20 with a 6-4 loss to the Cardinals. The longest winning streak by the current Cardinals franchise was 12 games, which occurred from April 10 to April 23, 1982. The 1901 Cardinals had an 11-game streak from August 8-19, and a 10-game streak from May 7-17.